First Class RV Resort and Campground. We are centrally Located in the number one place to vacation in the USA. Leelanau the Land Of Delight ! Visit then Stay Forever ! 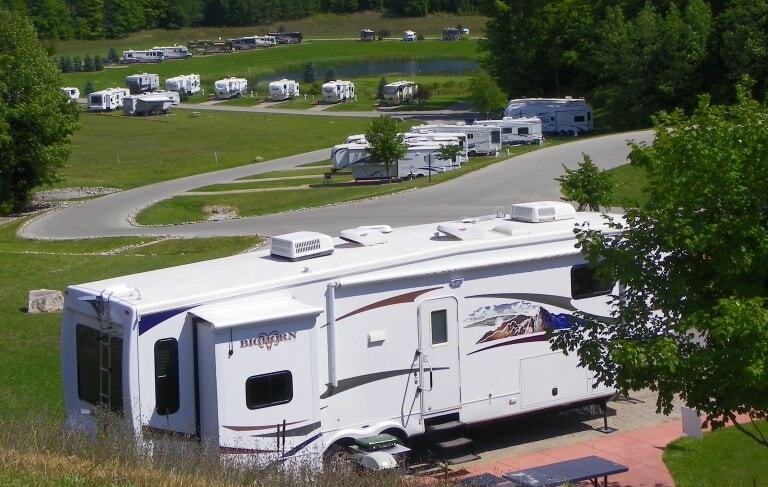 This Northern Michigan RV camping destination is surrounded by cherry orchards, vineyards, and 30 acres of woods. Bike the TART Trail, shop villages, explore Manitou Island, Historic Leland, and Suttons Bay. Northern Michigan and Leelanau County has long been known for Cherry orchards and is fast becoming the Napa Valley of the North with 24 vineyards and tasting rooms. Home of the Sleeping Bear National Lakeshore.